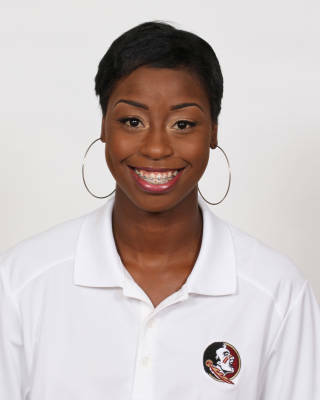 The most heralded sprinter to join the Florida State women’s program in years, she makes her NCAA postseason debut at the East Preliminary meet in the 200 and as a member of FSU’s 4×100 relay. Outdoor: Qualified for the East Preliminary in the 200 on the strength of her 23.65 time, which ranked tied for 45…also a member of FSU’s sixth-seeded 4×100 relay team (44.29), which ranks 13th in all of NCAA Division I this season…has been brought along slowly following injury…qualified seventh (23.79 – w) and placed eighth in the 200 at the ACC Championships, contributing to FSU’s Triple Crown-securing team title…fastest 200 of the year was 23.65-w at the Seminole Invitational, which was good for third-place showing. Indoor: Season cut short by injury suffered in her collegiate debut, which will likely lead to a medical hardship for the indoor season…debut featured a 7.46 60-meter dash in the preliminary round at the UAB Invitational and a third-place finish. One of the most decorated sprinters in Florida high school history after starring at Boyd Anderson High…enters FSU with career-best marks of 11.45 (100) and 23.05 (200)…won multiple state titles over the course of her four-year high school career for the South Florida powerhouse…set New Balance Indoor Nationals meet record en route to 200-meter gold in 23.45…holds Florida state meet record in the 200-meter dash (23.05)…earned a spot on Team USA for the World Junior Championships in Barcelona, Spain…plans on majoring in criminology at FSU…born October 27, 1994.